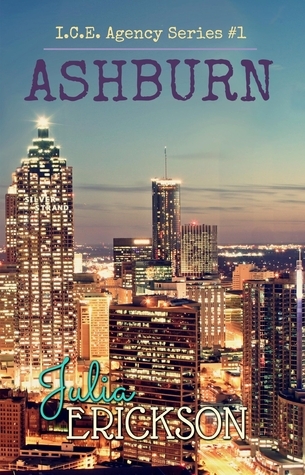 The third book in Sarah Holman’s “Kate’s Case Files” series is releasing June 1st! Notes: I read an ARC of this book from the author (thank you!) and was not required to write a positive review. All opinions are my own. 1. I don’t read a lot of modern fiction, and definitely not usually FBI mysteries. But Sarah Holman’s Kate’s Case Files is a special series that has twined itself around my heart. These books are like my candy, or a fun TV show—I’m addicted and I love them. XD So I was really excited for this third installment, and it did not disappoint! 2. In Kate’s Dilemma, Kate is having trouble trying to fit in with the group, having second thoughts. We also get some fascinating hints/details/backstory about the various characters, which was very intriguing. 3. The team is headed to Charleston, North Carolina in this one. I haven’t been there, but the level of detail woven into the story makes me feel like I have now! It feels so well-researched and authentic and I was brought right into the setting. 🙂 So that was brilliant and I loved it. 5. I enjoyed following the trails of mystery with the team—the compelling leads, character growth and interaction, and touch of danger and excitement by the end, which I’ve come to expect from the Kate books. 7. Kate and Patrick weren’t working together very much in this one (though I liked the scenes where they were), which is giving them an opportunity to figure stuff out on their own. But I did love Patrick’s parts as he infiltrates a college campus. Patrick’s always great! Another thoroughly enjoyable mystery story from Sarah Holman! In a way, Kate’s Capitol was quite different than the first one. Kate’s Innocence (book 1) had a lot of action and peril; this one has more of a political/office/spy sort of feel, so there was still tension, just of a slightly less life-threatening sort for most of the book. It was interesting watching the FBI team tracking trails of paperwork etc. This one is somewhat tense but not as high-stakes as the first book, so they feel rather different, although it got exciting and perilous at the end there for a bit—eep! I thought I was going to be sad that Kate and Patrick were working separately for a lot of the story, but I actually ended up loving it! It was super fun to go back and forth in their POVs and see them working separate angles of the case, and talking through email or phone calls—it was unique and fun and upped the tension sometimes. 🙂 I love their story and so enjoy reading about them. For readers who enjoy clean Christian fiction with an FBI twist and a light dash of possible-romance—or even just an enjoyable mystery-type read, well-written and with a fun cast of characters—I highly recommend these books! It was much easier to snoop when you weren’t trying to look like you weren’t snooping. “I think you were making paper airplanes out of your reports,” Brian interjected. “Why do you think they made me boss?” Thomas said, entering the room. Fave character: Nick and Crispin! Beauty and the Beast + 1920s detective story + alternate history where all the fairytales were, well… actual history + snark + humor + lovable and entirely unconventional characters = The Beast of Talesend by Kyle Robert Shultz, a.k.a. The Book You Need To Read Right Now. 6. THE BANTER AND CHARACTER DYNAMICS AND THE HUMOR. I know I mentioned humor before, BUT IT’S IMPORTANT OKAY. I can’t say enough about books that are this funny, because humor just makes me happy, and life is too short not to laugh copiously. Which is why books like this exist to help us with that. I love the dialog and interactions and narration and just aaaall the funny things! But it’s got intense bits and action and danger and twisty plot things all mixed in with the hilarity, which makes it even more impressive. 7. Can I just say how awesome this author’s writing is? LIKE SERIOUSLY. If all the above is not enough to convince you, just consider that all this wackiness is utterly seamlessly thrown together and well-written and just please can I be this good of an author when I grow up. The writing is gold! Actually this whole book is gold. Just— So so good. What do you think? Sound intriguing? IT’S AWESOME. Have you ever read an alternate-history book? Source: Either got it free on Amazon one time, or free for signing up for H.L. Burke’s newsletter; don’t remember which. The world was super interesting! It’s a psuedo-19th-century kind of feel, with a Steampunk flavor, but some other parts of it seem kind of more old-fashioned. I loved the fantasy element of the “Strains” which are musical wisps of something like magic/sprites. There are class-distinctions based on how well you can hear/use the Strains. And much of the story takes place in a sort of academy thing in an intriguingly-arranged city with different sections specializing in different things. Anyway, for some reason I found the whole world and setup super fascinating. I could also see everything SO clearly. And the “costumes” and rifles and just—LOVE! Leilani, our heroine, was all right—for some reason I felt a little detached from her? But I liked her okay. I thought it was neat how in most books she’d be considered the “side-kick” and Zebedy would be the hero, but Leilani got to be the heroine of this. 😀 Leilani only has “beggar magic” which means she isn’t particularly gifted or special, like Zebedy is… so normally, Zebedy would be the heroine and main character, and I thought it was neat how it’s basically a story from the POV of the “chosen one’s” side-kick. So cool! Zebedy was spoiled and I didn’t usually like her too much, but I didn’t always dislike her either… and sometimes I felt sorry for her… Eh, I don’t know. I might have liked her more if the story was from her perspective, but like I said above, I did like how it was told from Leilani’s POV. I was really surprised by Vickers’ character—at first I SUPER disliked him (and for some reason thought he was way younger than he was), but somewhere along the way I realized I’d actually… grown to like him. o.o Rather a lot, actually! I wished we could have seen more of Vickers. But this hardly ever happens where I dislike a character but then end up absolutely loving them! So kudos on that. Like a quick lady, Leilani decided. Leilani mulled over this as the girls took the path back to the maze entrance. She had never known anyone with a nemesis before. Leilani hoped she wouldn’t lose her ability to think if she ever fell in love. “That is Buffet as in to hit someone repeatedly with a blunt object? Correct?” A smile played about Zeb’s mouth. [Leilani reading a book:] It was a romance, the dry kind where the boy and girl fought for foolish reasons, and she kind of hoped one or both would die before the end. What do you think? Intriguing? Do you have any favorite steampunk-esque, or academy-type, or unique fantasy-world books? I’ve been looking forward to reading this for quite awhile, and now I have conflicted feelings on this book, and I can’t entirely decide what I think about it or what I should rate it. I just feel vaguely “meh.” I enjoyed it while I was reading it, but afterward… I dunno. I LOVED the first book (and the novella); the second one annoyed me; this one just fell a little flat somehow? A couple things annoyed me/I didn’t like, or seemed totally randomly thrown in there “just because”, which was weird, and a couple things came out of the blue or weren’t explained; plus it was darker/creepier than the first two, at least to me. I mean, it’s about a ghost and underworld stuff, and there’s a ghost in the title so obviously. XD And I didn’t mind a lot of that as much as I thought I would, but still not as fun as the first one. Buuut it did have some cool Faerie stuff in this one, so I liked that. But it also kind of cliffhangered! At least, the book was suddenly over but the story wasn’t. So I feel strangely like I didn’t finish reading the book? Even though I know I did. It’s… kind of a weird feeling… >.> I do look forward to reading the final book whenever it comes out to see how it all ends up, but there’s some spark that the first one had that’s just died for me in the last couple. Might just be me, though. 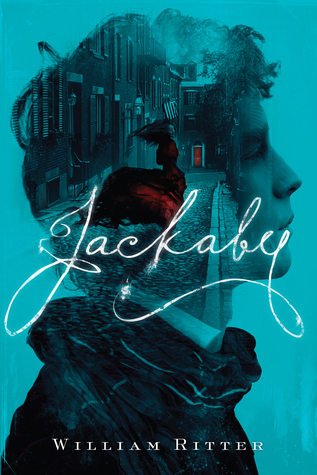 I do still like Jackaby (most of the time), and Charlie’s loyal and adorable and awesome, just… not around very much (his parts were cool though). And I liked the Faerie stuff! Even though some of that was weird too, as were all the dead-people type things. And Jackaby doesn’t seem to be his usual fabulous self all the time. I mean, he is, and I still like him, but he’s not as THERE with his lines as he used to be; at least I don’t think so. Anyway, it’s a pretty good book, just… I’m not enjoying them as much as they go on, I guess. (It’s also very possible I just wasn’t in the mood when I read it, since I was sick. 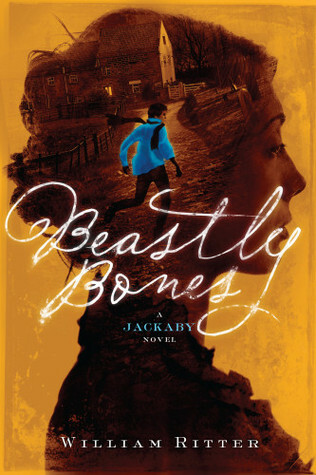 *shrug*) I guess I enjoyed it okay, I just feel “meh” and mostly kinda left hanging since it didn’t wrap things up and is just leading up to the next book… But Jackaby is still fun to read most of the time, so there’s that. 🙂 And we get some slight hints about Jackaby backstory in this, so that’s neat… Hopefully there will be more in book 4. 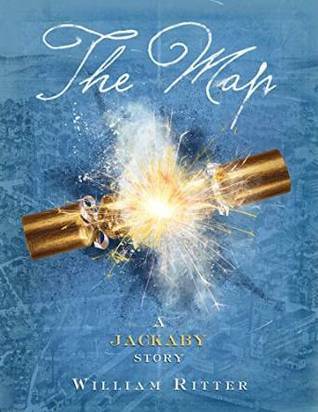 So, overall… read the first book, Jackaby, and the novella The Map. I’m still on the fence about the rest, so that will probably remain true until I can see how it wraps up in the final book. *nod* There’s just something about reading an “unfinished” book that leaves me unable to review it very well… Beware of cliffhangers, people! Hidden Gems: Authors You Need to Discover is a weekly blog event being held every Monday from August 1 to November 21, 2016, by Shantelle @ A Writer’s Heart, featuring author interviews, book spotlights, and book giveaways. There was a Christian thread going through the story, which was nice. Also it’s one of the few books I’ve read which was about homeschool graduates. Both Bryce and Cara were homeschooled, which was neat. 🙂 I didn’t really have much in common with them, despite that, but still neat. 😛 The book is also quite clean, for those wondering about that. Some of the plot seemed to get a little lost in the background at some points so in a way a lot of it wasn’t totally wrapped up (but it didn’t matter by the end, I guess), and I didn’t always agree with the way some things were handled (also, to be honest, the elaborateness of the ending honestly freaked me out, but I’m probably alone there. XD), and other than that I just enjoyed the ride. Cara Stephenson, a talented graphic designer at Silver Strand Technologies, never thought she’d see her childhood best friend again… but when he suddenly reenters her life ten years later, he’s a completely different man. What is he hiding, and why should she trust him? Bryce Reynolds is a man on a mission- a top-secret one at that! He never dreamed the girl down the street would one day become his link to the destruction of Ravenmeister, Inc.- a front for black-market arms and ammunition. Will he crumble underneath the burden of all his secrets? When the hunt for a missing technology developer in possession of a priceless prototype drags Cara and Bryce on a high-adrenaline ride through the streets of Paris, Venice, and Munich, they must work together to find what they’re looking for… and survive the trip! Series? : Book 1 of the I.C.E. Agency Series, followed by Diamond.